Fenugreek, or scientifically known as Trigonella foenum-graecum, is one of the most ancient medicinal plants known for its many health benefits. Fenugreek's use has been recognized as early as 1500 BC when ancient Eyptians used it for inducing childbirth and embalming. Popular in Indian and Middle Eastern cultures, fenugreek is mainly used today as flavoring in cooking and as a supplement for a variety of health conditions. Several studies have been conducted and shown that fenugreek may be beneficial in lowering glucose in patients with Type 2 diabetes. While these studies were small, all seem to show a positive trend in improving glycemic control and decreasing insulin resistance. Fenugreek is thought to lower glucose through its active compounds which include dietary fiber and saponin. Saponins are compounds that bind to bile salts and have antioxidant activity. Most studies have noted that significant reductions in glucose parameters were only seen with medium to high doses of fenugreek (over 5 grams per day). Most reductions were found with powdered fenugreek seeds (in capsule), but not other forms. 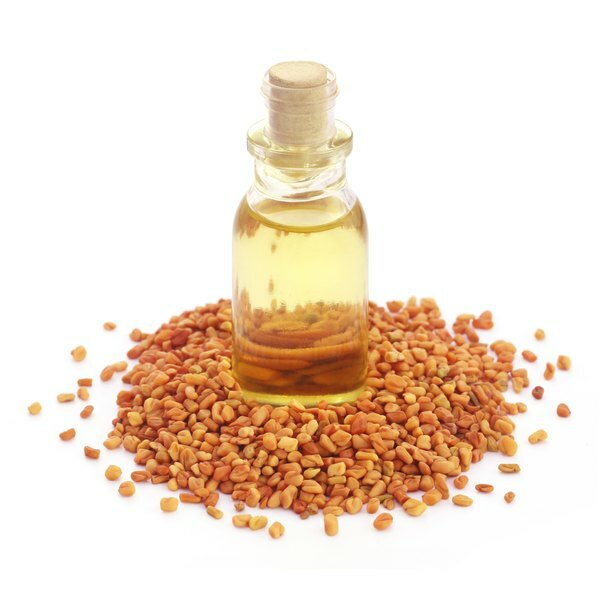 It is important to recognize that larger, longer trials are necessary to substantiate these claims, however there is support to use fenugreek as an adjunct to traditional diabetes therapies. The German Commission E monograph recommends 6 grams per day, which can be taken all at once or divided between three meals. Since most fenugreek capsules are available in either 580 or 610 milligrams, a common dosing scheme would be 2-3 capsules three times a day. Fenugreek has also been shown to lower total cholesterol and LDL cholesterol, also through saponins and dietary fiber. The saponins are thought to inhibit cholesterol absorption and synthesis. No changes in HDL cholesterol have been reported to date. While the studies are not robust, fenugreek may be considered as a suitable add-on for cholesterol therapy in addition to a healthy lifestyle. A surprisingly common problem in nursing women is a decrease in milk production. Fenugreek just may be the most popular herbal "galactagogue" around the world. The mechanism for stimulating milk production is not exactly known, however it most likely is due to phytoestrogens and diosgenin components. Through these components, it has been traditionally theorized that fenugreek "stimulates sweat glands" which are similar to milk glands, hence stimulating milk as well. One study noted a marked increase in milk production in women who consumed 3 cups of fenugreek tea per day. The infants in the fenugreek group also regained their birth weight more rapidly than in the other groups. Most women report that milk supply is increased around 24-72 hours after taking the herb and can be discontinued once supply is adequate again. The dosing should be around 500-1000 milligrams per day. The tea may be drank as well, although some women report a bitter taste. Pregnant women should be cautious, since very high doses or potential overdose may stimulate childbirth or may be harmful to the fetus. Fenugreek has shown some antitumor and antioxidant activity, however the current available studies do not support the regular use of it for these purposes. Fenugreek has also been used as poultice or paste which is applied to the skin to ease inflammation. Again, this usage is more anecdotal than factual. One human study has noted fenugreek to increase testosterone (and therefore libido), but the results were inconclusive and further research is needed. Fenugreek is a well-known herb that can not only enhance your cuisine, but enhance your health as well. The only real side effect with common dosing is a maple syrup-like odor to urine and other body secretions. Given the economical cost, low side effect profile, and virtually no interactions with other medications, fenugreek is a good option to supplement a healthy lifestyle. Go ahead and enjoy that curried chicken!